Hello Hello! I know...its been ages since I blogged! Blogging is not my most favorite social media platform...for that, see You Tube! But, when it's Pep Rally day, I blog and I like it! 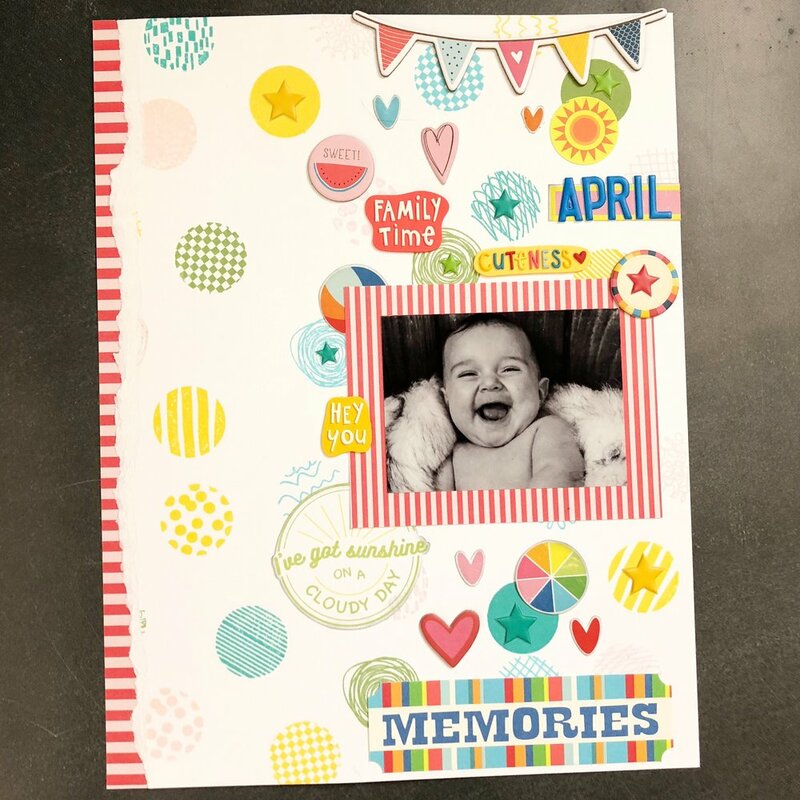 I have a brand new layout to share with you using the July Regatta kit...which is bright and summery and fun and perfect for your summer adventures...I also think it would work fabulously for a lot of other applications too...like baby photos. I created a stamped patterned paper using a stamp set from Ink Road stamps and all the matching ink colors. Then created my layout by adding bits and bobs all around from the kit, mostly color on color. I had so much fun going through the kit and choosing the perfect little coordinating elements! Here is the line-up for the hop! Be sure to hop along and comment on all the posts!